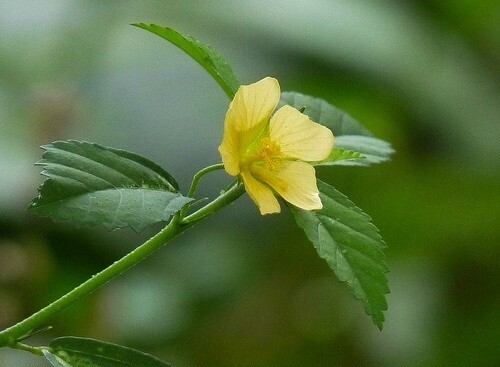 Sida Cordifolia has been used as folk medicine in India since time immemorial. It is considered one of the most valuable plants in Ayurvedic medicine. Similar to Ma Huang (Ephedra sinica) in its characteristics, uses and alkaloid make-up. Our sida cordifolia foliage is freshly cut and sifted, and imported directly from India. Sida cordifolia is used as a general tonic, astringent, aphrodesiac and to treat respiratory proplems such as asthma, coughs, colds and flu. Like its cousin Ephedra sinica, it is also a central nervous system stimulant with both plants containing ephedra alkaloids.